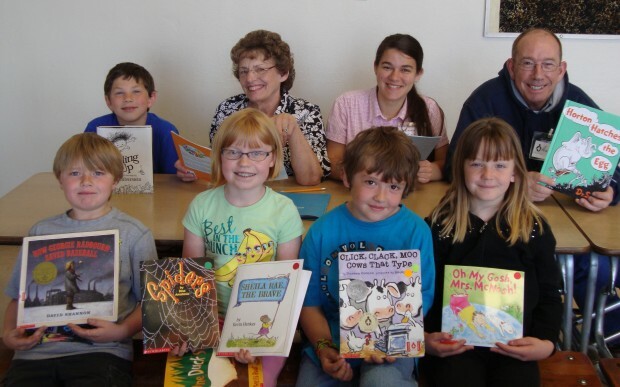 The SMART Central Area team implements SMART programs, and raises funds to support SMART in Central Oregon. In 2017-2018 in SMART’s Central Area, we served 836 PreK through third-grade children with the help of 359 local volunteers. We are focused on recruiting more volunteers and establishing strong financial support among our communities to ensure we can continue this important work of empowering local children through reading. Click here to read SMART Central’s Year-end Report. Click here to read SMART Central’s 2017-18 Newsletter. SMART always welcomes new volunteers! Check the Get Involved page for descriptions of various volunteer positions. For volunteer openings in the Central Area, click here › or call 541-797-7726. SMART partners with local businesses, foundations and organizations that support SMART through financial contributions and employee volunteerism. For a list of our Central Area business, foundation and organization partners, click here ›. Being an active member of our community is important to SMART. We are a proud member of the Bend Chamber of Commerce. In the 2018-2019 program year, we aim to serve 825 local children in 24 sites. Inspire a child's next chapter.